The average high school or college student will spend up to 500 hours during the coming summer working a part-time job to earn money for school and other expenses, earning $3,000 on average during June, July and August. Participants in Drum Corps International member units will devote these same summer months to the incredible opportunity of putting themselves on the football practice field, rehearsing hundreds of hours and traveling more than 12,000 miles for the chance to perform in front of thousands of dedicated fans—a far cry from the "average" lifestyle of a typical undergraduate. Outside of their participation as part of the world's most elite and exclusive marching music ensembles, these extraordinary students excel in their communities, in their classes and in their music programs, in addition to taking on the challenges of marching in a top drum and bugle corps. The Friends of DCI Scholarship Foundation has been established to help and encourage those eligible performers of Marching Music's Major League to pursue their educational goals. This year, the Friends of DCI Scholarship Foundation is seeking qualified applicants who will be members of drum corps participating in the 2007 Summer Music Games Tour. These students must also be enrolled in a college or university for the fall semester of 2007 or must be a high school senior who has been accepted to a college or university for the fall of 2007. 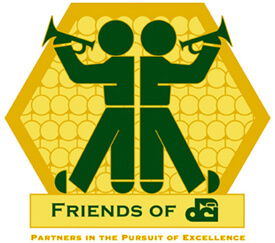 Consistent with the Friends of DCI motto—"Partners in the Pursuit of Excellence"—scholarships are awarded on the basis of a student's commitment to excellence in his/her academic and drum corps pursuits, as noted in the scholarship application. For the first annual Friends of DCI Scholarship, two awards will be presented — one in the amount of $2,250 and another for $1,000. Applications are due May 15, 2007, and will be presented to a panel of the Friends of DCI Scholarship Foundation contributors who will choose its first two beneficiaries. Scholarship recipients will be recognized at the 2007 DCI World Championships in Pasadena, Calif. Applicants will be required to submit proof of academic enrollment, a letter of recommendation and respond to two essay questions for consideration. Find more information about application requirements and view the application form.